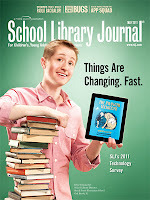 While our sister publication School Library Journal tracks major national changes in school library technology, local news also emphasizes that “things are changing fast”: Boston’s free daily newspaper The Metro reports that area public schools are turning to iPads for their classrooms. Boston Public elementary schools are trying a pilot program offering iPads to students on the autism spectrum, while Burlington High plans to purchase an iPad for each student. Which sparks some fascinating—if as-yet unanswerable—questions: how will e-publishing evolve as digital resources become a bigger part of public school curriculum? What criteria will (or should) administrators and teachers use to select ebooks and apps for their students? 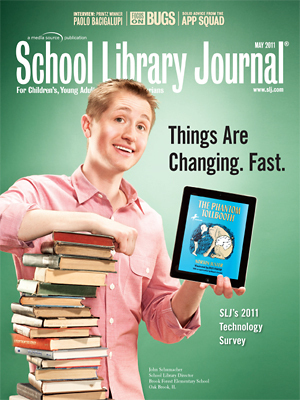 And, as SLJ editor Brian Kenney asks, what do we do about the “digital divide” between schools that can afford to keep up with ever-changing educational technology and those that can’t?